Now that I’ve shared how I got started in real estate investing, I thought I’d give you the details on my rental properties. There are three properties with a total of 14 units. They are in-line with my real estate objectives and strategy. Before I purchase any property, I run financials including purchase price, fix-up costs, and profits after expenses. Of course these figures are really a guess since there are so many unknown variables. But it’s an educated guess and I build in safety by estimating expenses a bit high and estimating rents a bit low. 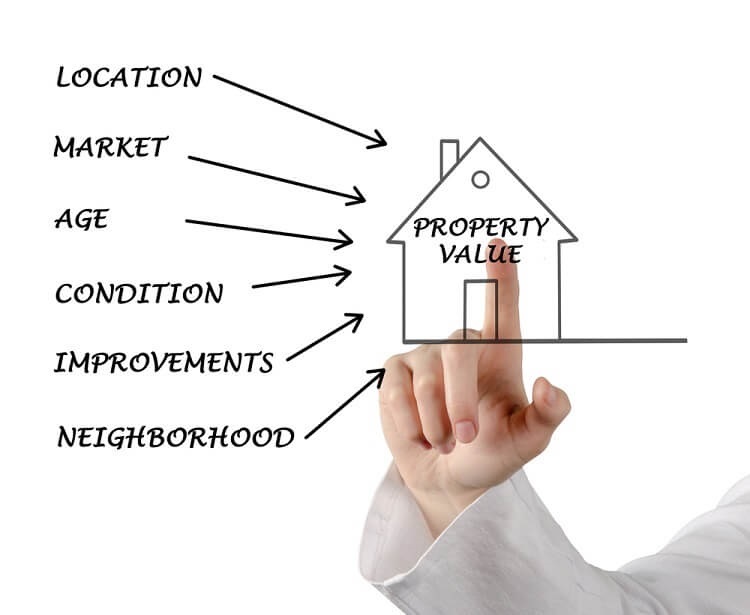 In this process I estimate all costs (insurance, taxes, maintenance, utilities, management, etc.) and revenue by line item. I won’t show all these for every property or else this post would be 20 pages long. 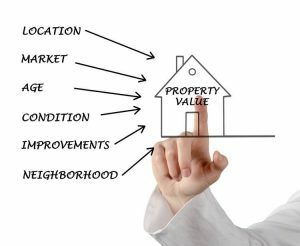 When evaluating a property, I look at two revenue/cost scenarios: 1. Year 1 “Get up and running” financials and 2. Year 2 “On-going” financials, with a property manager (which I will be using for now). I am not using a mortgage on any of these. I could but I prefer to own them outright. Plus having cash helped me seal the deal and/or get a better price. I could always mortgage these places in the future to buy other properties. With that said, let’s get into the details of each property. Two buildings on a single piece of land (0.7 acres) in the northern part of our city (about 25 minutes from my house). The second building was in the back part of the lot. It was built in 1953, had two bedrooms (768 square feet upstairs), and one bathroom. It didn’t have the character of building 1, but it did have a garage (very nice benefit). It also had a second garage stall below the apartment which had been converted into a room (kind of — they didn’t seal the opening very well so it was a storage room at best.) We eventually made it into a bedroom. The property (including both buildings) was owned by the government (Fannie Mae) and had been sold to someone who was going to live in one of the homes (these government-owned places let people who are actually going to live in the home make offers for the first 15 days and if no one does, then it’s open for anyone to buy.) But the buyer had needed financing to purchase it and the financing fell through, so it was up for grabs. The government was asking $60k for the property, and we offered asking price. Eric found out that another bid had been made. He knew the agent who listed the place and got a sense the offer was in the upper $60k’s, but needed financing. We moved up to $65k cash and the place was ours. We closed at the end of September 2012. There were massive updates/upgrades needed. These were part of our financials from the get-go, so there were no surprises. We needed new windows, siding, flooring, paint, appliances, and on and on. It’s probably my least favorite of the three, but it got me started. The property has done fine financially when we can keep it filled. There is regular turnover there because it’s an “ok” location. The lot is wooded a bit and I’ve had some unexpected expenses for clean-up after a big wind storm. This purchase was much different than property #1 (which was basically two homes on one piece of land.) This one gave me eight units in one purchase. It’s two brick buildings. Each has four, two-bedroom units (8 apartments all together). The property is in an area not far from other rental units, but on each side for about a block or so it’s surrounded by single-family homes (in other words, it’s a nice location for the renters). Six units were rented when I saw it and generated $550 each monthly on average. This place fit the bill perfectly for my strategy of “buy the place, make improvements, increase rents, and fill them up”. We made an offer and the fact that we had cash and could close quickly (the owner wanted to be done with it before the end of the year) helped quite a bit. We closed in December 2012 (yes, before property #1 was up and running). We spent two months upgrading the two vacant units. We knocked out walls, added a bar area, put in new cabinets, appliances, paint, and flooring and much more. We also upgraded the common entry areas (stairwells) of one building (the one with the two upgraded units), added insulation to that building (I am paying the heating bill, after all), and updated some electrical in the other building at the request of my insurance company (we knew this would likely need to be done when we bought the place). We then did the same with the other apartments as the leases expired. We told the tenants they could 1) move out briefly, allow us to remodel, and come back at a higher rent, 2) simply stay in the place at the higher rent (no remodeling), or 3) move out. All of them moved out (after all, the apartments were now out of their price range). My property management company oversees 1,100 units city-wide, so they helped tenants find alternative living arrangements. My initial financials were based on increasing rents from $550 to $700. But after seeing how good the places looked, the management company wanted to try and rent them for $750 each. A month after they went on the market, they were rented, so we moved the price to $775. This property is my real estate joy. Yes, the first one does just as well from a return standpoint, but I really like the multi-unit format. The fact that there are two multi-unit buildings on one property just makes it completely a home run in my mind. It’s easier to keep these places filled. It’s a nice place to live given how we fixed it up. There has been less than expected expenses from this property, a real treat. This purchase was very similar to my second real estate purchase, but it was only one (not two) building with a total of four units. It was one brick building with four, two-bedroom units. The units were smaller than in my second property. The kitchen had no place for a dishwasher and the bathrooms were teeny tiny. The property is in an area surrounded by single-family homes (in other words, it’s a decent location for the renters). The area of town is “ok.” It’s not great (I wouldn’t want to live there) but not terrible either. Two units were currently rented and generated $530 each monthly on average. This place also fit the bill for “fix up and increase rents” model. The building was being sold by a retired gentleman who just wanted to relax and not have to worry about managing rental properties (he managed and maintained them himself). We arrived at the building while he was there. He gave us a nice tour of the place and answered a lot of questions. He was also putting in a new sump pump to keep any future waters at bay. We wanted to move quickly since we thought there would be lots of activity on this place. The owner was looking for $125,000 but we offered $102,500. He countered and so did we. We finally ended at $107,500. The fact that we had cash helped quite a bit. We closed on it in June 2013. The inspection revealed that the sump pump the guy had installed was not up to code and would need to be replaced. We negotiated a savings of $1,000 off the price, but when we tried to go lower, we felt he was going to walk. Since the place was still a good deal under these circumstances, we took it for $106,500. My crew of remodelers got right to work upgrading the two vacant units. They were both done in a few weeks and ready to rent. We had tons of changes similar to the other places. Once each place was upgraded, we raised rents. When leases expired, we made all the tenants the same offer we did with property 2. They all moved. The low bid we made on this property paid off — great return! Having cash really helped close this deal. The real estate market was starting to turn positive at this time, so I was lucky to get this one before the price went up. Property 1 had some vacancy issues this year as well as a couple big expenses from a bad tenant. Property 2 was pretty solid and close to expectations. Property 3 was better than expected. This has been the story each year — one property makes up for another. It’s the benefit of owning several places. The return is before depreciation. I’ll deduct depreciation on my taxes, have income below what’s above, and thus pay taxes on the lower amount. This is why I always like a margin of safety. The estimates said I’d get 11-12% back. Reality is closer to 10%. It’s still good, but rents are always lower and expenses always higher than expected. A big expense is the property manager. But given that I now live 1,200 miles away from these properties, I don’t have much choice. I also spend less than three hours a month interacting with the manager and/or doing any other work on the properties. Given the rents I get and the way the market has exploded, my property manager thinks I could get somewhere between $200k and $300k more for my properties than what I have in them. At this point I have no intention of selling them. That gives a pretty good overview of the history and current status of my properties. I’ll keep you updated from time to time as appropriate. First off, thanks for sharing the details. It’s always helpful to see someone breakdown their approach to real estate investing. 1) If you still lived close to the properties would you manage them yourself or would the # of units, and therefore time involved, lead you to hire a property manager anyway? Where was that break point for you, if it existed? 2) Would you ever consider investing in an area where you currently don’t, or haven’t previously, lived in? 3) I’m assuming you were a homeowner before you became a landlord. How much did that experience benefit you and in what ways? 4) Was there a minimum unit/tenant requirement before a property manager would work with you? For some context, I’m a younger investor without the personal means (for now!) to put down several hundred thousand in cash for properties and I think my lack of track record would prohibit me from securing any sort of private funding. I’m a renter who is still mobile in my lifestyle and career and I have not decided on a medium term place to “settle down” yet. I want to diversify some of my net worth into real estate and am figuring out what exactly that looks like for me while I build up my cash reserves. Ideally, I would invest in properties that are more turnkey, recently renovated, and ready to go and I understand this might come with some lower returns but it would give me more time to focus on career growth where I still have room for bigger gains. Also need to figure out the where…. 1. My plan was always to have a property manager while I was working (it was going to be my mentor and real estate agent, Eric) and then transition to self-management when I retired. The plan changed when I moved. 2. When I started there would be NO WAY I’d have invested in a place where I didn’t live or hadn’t lived. Now that I’ve been through the experience of managing from afar, I’d at least consider it. The keys to make me finally do it would be: A) Finding a trusted agent to help me buy the right property and B) finding a great management company. I think the above is why you see so many real estate sites saying you “need a good team” to be successful in RE investing. I know some will disagree with this at least in part (Apex?) but it’s certainly true for me. 3. Being a homeowner benefitted me a bit as it made some of the buying process, maintenance, etc. more understandable, but I don’t think owning your own home is a prerequisite for owning rental real estate. Having a good mentor/trainer is MUCH more important as he/she can answer any questions you may have. 4. I don’t know. They were already managing my second property and I then gave them my first when Eric decided he didn’t want to manage my properties. Would they have taken me if I’d only had a single family home? Not sure. I think they would as they have a process and it’s easy to fit 1 or 100 homes into it. One idea for you (what I might do if I was a young renter like you): Once you decide where to settle down, you could get a duplex, live in one side, and rent out the other side. Then once you outgrow the place, you rent out both sides. You might be able to earn enough in rent to pay the mortgage. I’ve heard many people getting into rental real estate this way and have even talked to my kids about doing it one day. Food for thought. I don’t see anything there that I would disagree with. Successfully doing A & B remotely seems pretty hard, but would mitigate the risk. I thought you might disagree with the “need a good team” part because you’re a one-man show. Aren’t you? 1. I have the types of properties and attract the types of tenants that are not to hard to manage. 2. I have local properties so I can easily do that management. 3. Given 1 & 2, I don’t believe I can find a management company that can do the job as well as I do and they will be expensive. (To be fair I haven’t looked very hard). Now if one were to do this remotely then it becomes absolutely essential. And I also don’t intend to be doing this when I am 65 so something will have to change. Either I get out or I find good management. Thanks for taking the time to answer those questions and share some more details. I’m working abroad for most of this year and will be looking to get involved with local real estate investor meetups when I get back to America. Like you pointed out, I think having a successful mentor/trainer is a huge benefit. I know I am responding to an old article but what you have written here and in this comment are principally why I have shunned rental real estate. Shuttling between continents for work and having no skills in being a handyman, I would rather earn my relatively meager returns by investing in REITs. My dividend yields in REITs range from a low of 4.5% for REIT index to about 9% for some healthcare SNF REITs. They are all well below your Cap rate figures, I know, but I take solace that I am not managing anything. If I had an experienced and trust-worthy friend like you managing the rental real estate, I wouldn’t mind co-investing in the deals. We could split everything half-way and hopefully, I will also realize the 11% cap rate that you are getting. Thanks for giving a good perspective into how you are managing the rental real estate investments. Those numbers are pretty impressive! Have you tried calculating your ROI based on your down payment, closing and renovation costs? Once you include cash flow, mortgage paydown and appreciation rate, I bet your ROI is over 30%. Sorry, just reread and saw that you purchased these properties outright with no mortgage. I haven’t had debt in 20+ years and it’s been amazing. I know I’m reading this late. I’m new to blogs in general. That is a great return on the property. I purchased a forclosure in a decent area last year. The renovation ended up going bad and I ended up doing alot of work by myself. It was rough because of lack of time during the renovation but it has paid off so far. My ROI is about 8% for this townhouse but I would like another property. How did you pick your renovation people? I tried using my properry managers people but the good ones were booked solid for months. Also, do you own the units under a llc or under your own personal names? My mentor knew some guys who were quite good and inexpensive. Do you have an agent? Perhaps he could offer you some suggestions. We own our properties in an LLC. That is great that you have a mentor. Its easy to make mistakes. My property manager is my agent. She is good and has saved us a few times over. I think it was great that you purchased places that needed work. Its more risky but if you get it right, it seems to pay off better than purchasing a fully renovated place. I asked an accountant on whether I should have an LLC but he told me it wasn’t worth it until you have 5+ properties. After reading your post, I’m really considering multi-family dwellings. The ROI seems to be higher but I have to be careful here in Florida. Real Estate is like a roller coaster! ESI these are brilliant numbers you’ve got going there.. The thing I love about it is the amount of income it’s making you.. Would you say that this is atypical for properties in the US? There’s no way or it’s highly unlikely you’d get that sort of performance out in Aus..
Would love to chat more to you about this! 1. Bought near the bottom of the real estate collapse (low prices). 2. Used cash to buy (even lower prices). 3. Purchased in a low cost-of-living market. From what I’ve seen, most people can’t get close to these. Thanks for the open and honest answer here! Is this something down the road you’d consider managing for people? I’ll keep following you and keep up the fantastic work :)! That is my problem. I can’t get seem to get near this where I live in Florida. Thanks for sharing all your numbers, seems like you got some great deals! The appreciation is almost an afterthought for you, but incredibly important to your overall return. (Not that you are going to sell, simply just considering it as another asset.) I would be interested in hearing if #2 has better appreciation that #1 and #3 due to it being in a better part of town. My belief is that appreciation lags in just ok areas. I’m really looking forward to one day having cash to throw around – sounds like all cash deals really helped you! In regards to the cash purchase and LLC, if you had the funds in an IRA, would you do a self directed IRA that funds an LLC business? I was thinking of this, but I believe all the returns go to the IRA, and not provide operating capital. Is this correct? Also, I believe there are fees associated with doing it through an IRA — somewhere around an extra 1%. I’d like your opinion on RE investing.. I’ve considered getting into rentals etc.. I currently invest in trust deeds thru a Limited Partnership that pays out 7.5 to 8.5% annually (monthly payments). Of course I’m paying taxes on this and don’t the the tax benefit of owning rentals would have.. I figure as a rule of thumb, I should make 9-10% off rentals.. However, given the headaches of renters trashing the place, vacancies, maintenance, etc.. I’m thinking it’s simpler to just invest in the trust deeds and get my 7.5 to 8.5% (paid monthly) and not deal with renters. My question to you.. what do you see as the cons of investing in Trust deeds vs owning rental property regarding the %, income, taxes, etc..
You stated that your properties are in an LLC. Do you have each one in its own LLC or combined into just one? I have never done real estate before but would be interested in duplexes. I am a newly retired woman and do not know where to start. Advice please. Right now they are all in one. We are in the process of re-doing our estate plans and plan to move each into its own LLC. Thanks – great article – it’s super helpful to see your roll up numbers on each property. We want to do more on commercial real estate investing on our site and podcast. WOW! My eyes popped @ those double digit cap rates! MUST be in the heartland of America. We west coasters here are LUCKY to see a slither close to 4-5%, and just keeps eroding as prices go bonkers. Congrats on this major side hustle! Not to start a rent/own debate of course, but keeping an quasi-part time management project is really to diversify slightly from stock volatility, while having a good balance in realty, stock, bond, cash. If I had those cap rates and lived in the heartland of the America, I’d have a really low motivation to get up each day to go to work when just 1 of those property’s cash flow is more than enough to feed a family in a mountain state. Wow! You are getting Bay area rents $6,235/month, on a Kansas City price $350,000. I have 4 properties in Las Vegas, NV. Value of them is $260,000(ish) each. The highest I get is $1,500/month. In your area, for a 33% price increase, I can get a 400% rent increase! You’re not retired. You’re a landlord. First of all, my management company does everything, so I spend a couple hours a month looking over their reports and that’s it. Second, I am retired from working for anyone else. Third, does your definition of “retired” mean you can’t have investments? In that case, virtually no one is retired. I’d agree with you Mr. ESI. The management part of owning property is the “job” (what you get for your time). The cash flow (after mgmt.) is what you get for parking your money. I’d call a “landlord” someone who manages their buildings directly. We currently have 34 units spread over 8 buildings within a 2 miles radius in Waterville Maine. You’ve paid a bit more “per unit” than we did but your profit, at more than 50% of gross income, is a bit better than ours as well. I suspect it’s because I spend more on repairs and upgrades than good manager might. To-do lists drive me crazy and I probably do some things that can either wait, or don’t really need to be done at all. I did want to share something with you that we’re going to try. It’s easy to think “manager or self-manage” but I love the bookkeeping and I have a great team, in particular one man who is willing to take “distress calls” from tenants and “sort of kind of” do some of the boots on the ground management that I do now. (I don’t do ANY repairs to speak of but do a lot of the little “puttering” that can eat up alot of time). I also have fairly trustable tenants so I allow them to call our contractors, like our heating, plumbing, electric, pest control people if there’s an issue. Our tenants pay rent either “over the counter” at our bank or via ACH withdrawal. I prepare all leases, documents, etc. and bookkeeping using QB and enjoy that part of the business, so the end result is that we outsource “part” of our management and probably pay 1-2% of gross income vs. 8-10%. The only challenge is that when we start traveling alot, we’ll have to outsource “showings and leasing” (which my wife adeptly handles now), so that will cost a bit at some point. I have rental properties in st. louis but it’s a real nightmare as the cities require inspection each time you turn over and they are rather crooked. What city are your investments? I want to sell out and move elsewhere less hostile. @CS Lee – I’m not sure if you were asking me (my post is right above yours) or Mr. ESI, but my properties are in Waterville & Winslow Maine which is about 20 miles north of Augusta. Old mill town but very stable area. No exciting peaks but no scary drops either. Is principal included in expenses or profit? I see it as more of an expense since you are paying it and to me cash flow is what I’m trying to determine, not equity. But since it is giving you equity I could see counting it there. What principal? Are you asking about the principal (versus interest) in a mortgage? If so, I didn’t have any as I paid in cash. Did you know you can make an additional 6.2% on your money, year after year, just by virtue of your tenants paying off your mortgage? This is a neat benefit of using a mortgage to buy a property. Let’s use an example of a100k triplex to illustrate the point: We know our initial outlay is $30,000, putting 25% down and kicking in another $5,000 for expenses. We get a twenty-year investment property mortgage for 4.5%. Now, let’s also assume that everything else is break-even. We don’t make any cash flow, so we can’t quit our day job, but we don’t need to take money out of our savings to buy oil or fix the roof. We sell the building exactly twenty years after we bought it, the day the mortgage is paid off. The building appreciates only enough to cover our selling expenses, so we walk away with exactly $100,000 at closing. What did we make on our money all those years? As it turns out, we earned a 6.2% average annual return for twenty years. Here’s how I figured this: If you take $30,000 and put it in the bank, you need to earn 6.2% annual interest to turn it into $100,000 over twenty years. This is exactly what you’ve done with this triplex. When you add this to a situation where you have great cash flow and appreciation, your total return can be huge. 6.2% might not seem like much compared to other possible investment returns, but this is a sure thing. Paying down a mortgage for twenty years after putting 25% down gives you a guaranteed return of 6.2% on your money. The only risk is time; you have to stick with it for the whole twenty years. If you have an ample cash flow, and you want to pay off your debt faster, your return increases. Here’s how your return increases just by shortening the length of the payback time by five and ten years respectively. Keep in mind that you still have to have “neutral” cash flow to keep the above examples true. If you pay your mortgage off in fifteen years, but it puts you in the red by a hundred bucks each month, you have to deduct that from your 8.3% return. Caveat: You have to hold the mortgage the whole twenty years to enjoy this benefit: Because you’re paying mostly interest the first few years, your return is lower in the early years, higher in later years for an “average” return of 12.75% but it washes out if you follow through with the plan.